Buying a new or used car is a big decision, obviously. The purchase of a car is one of the biggest and most important decisions a person can make in the modern world. A reliable car is one of the most useful things a person can own, and that is exactly why making the right and correct purchase is so important. There are a multitude of things a person can consider in order to save money when buying a car, but the key thing is to make all the right choices. Whether the car is new or used, there are a host of options that can result in saving money, and many of them are very easy and basic to achieve. Demand a low interest rate; the worst they can do is say no. Narrowing down priorities and options is the most important part of the whole purchasing process, so here are some tips to show you how to save money when buying a new or used car. Buying a new car is very tricky, especially if you are trying to get the best price, because new cars tend to be in demand, and they tend to sell, thus you have to have quite the knack for bargaining and selling yourself. The first thing to understand is the fact that the odds are on the dealers side (just like a casino), but at the same time, the dealer is usually desperate to make a sale, and you need to use that in your favor in order to drive down the price in the end. Find the right price: look around and see what the prices are like in the market for the car you want. This will better inform the price range you will be working with. Use competition: you can drive down the price by using their competitors against them, and bouncing them off each other. Is this unethical? Not at all; they use these tactics, so level the playing field. Negotiation: this is your best tool. The car dealer wants to sell, you want to buy, so try to negotiate the best price you can. The used car process tends to be a little bit less hectic, because there is a lot of leeway when working on saving money. 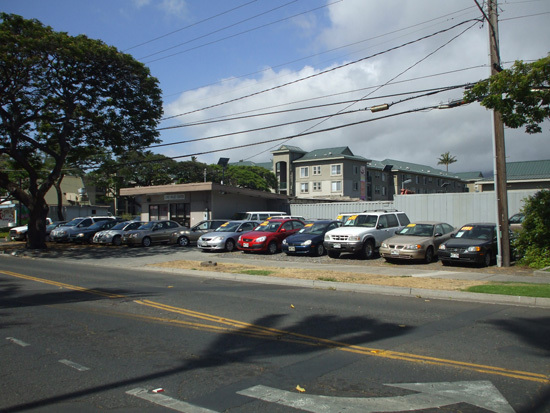 With the purchase of a used car, there are a variety of options available to the buyer. Choose a reliable model: when buying a used car, you want something that has been proven to be reliable. Thus, you want to choose a model that has a good reputation and is easy to repair. You can do your research with companies like Consumer Reports. Give it a test ride: Dont be afraid to try out the car before buying. Most dealers are more than happy to give you a test spin. This is the best way to test out whether or not you and the used car gel with each other. Investigate: Do your background detective work. Take advantage of used car history reporters like CARFAX.